An anecdotal story about the Battle of Moscow in the fall of 1941 tells of a group of enemy tanks attacking the Soviet line that supposedly turned back when they saw dogs rushing at them. Fear was justified – dogs were trained to blow up tanks. 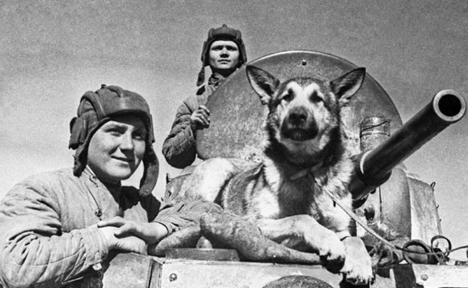 During the war, Red Army dogs destroyed more than 300 German tanks – equal to two armored divisions.